Jenny Dull L.Ac., Naomi Brebes L.Ac. and Kelly Metcalf at Harmony House Yoga present: Spring with Traditional Chinese Medicine and Yin Yoga Life, and our vitality, bursts forth in the springtime. This season calls your innate creativity to awaken and make itself known, just as a seedling pushes through the thawing soil past roots and rocks toward the light. Join these three teachers on this special evening to begin our journey in the spring that heralds your initiation and rebirth into a whole new you. 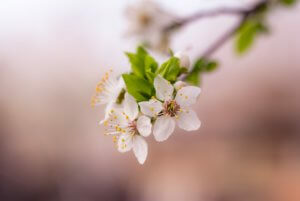 Jenny Dull and Naomi Brebes, Licensed Acupuncturists, will introduce the Wood element of Spring, to learn how to cleanse yourself and prepare for the change of season, associated with Liver and Gallbladder energies. They will share with you the Five Element perspective from Traditional Chinese Medicine and its relationship to Spring and the body, mind, spirit connections. In addition to a short QiGong practice, Jenny and Naomi will be giving you the tools you need to empower yourself into the season of new beginnings. Kelly, owner of Harmony House Yoga, will lead us through a powerful and informative Yin Yoga practice focusing on the Liver and Gallbladder channels to support you harnessing the power of the season. Yin Yoga is appropriate for all levels and accessible for everyone. Please wear comfortable clothing and maybe bring a sweater to stay warm! This class will give you insight of your mind and health, and set forth motivation in cleansing and building your body as we enter into the new season. All participants will receive a 21 day guideline to cleansing and 5 element chart.